Ibis Aguilar is expected to be the new varsity football coach at Bonita High School, pending school board approval. Aguilar, who last season was an assistant at Bonita and prior to that was head coach at South El Monte for four seasons, replaces Adrian Medrano, who left Bonita for El Rancho earlier this offseason. Aguilar and Medrano were college teammates at University of La Verne. Aguilar led South El Monte to a share of the Mission Valley League championship in 2012 and had a 19-24 record in his four seasons. Bonita was one of several area jobs still open this far into the offseason. Baldwin Park, Diamond Ranch, El Monte, Gladstone and Wilson are among the local schools still looking to fill a head coach vacancy. Aram’s take: I said a few years ago that Aguilar is one of the sharpest young coaches in the area. I stand by that and now he gets a chance to really show it with a consistent, if not solid, talent base at Bo-Hi. Good hire. Michelle Gardner of the Daily Bulletin is reporting that Diamond Ranch has let go football coach Jimmy Welker after just one season. Read Michelle’s report on the situation. Aram’s take: I really liked Coach Welker. He was very straight up with me and I really appreciated him giving me a great interview when comparing the Charter Oak and San Marino football teams before their game since he had played them. Flintridge Prep announced Friday that it has hired former Crespi standout running back Russell White as its new football coach. Interestingly, Flintridge Prep announced earlier this offseason that it is moving from 11-man football to 8-man. White was an All-American running back at Cal in the early 90s. He will also serve as assistant athletic director. 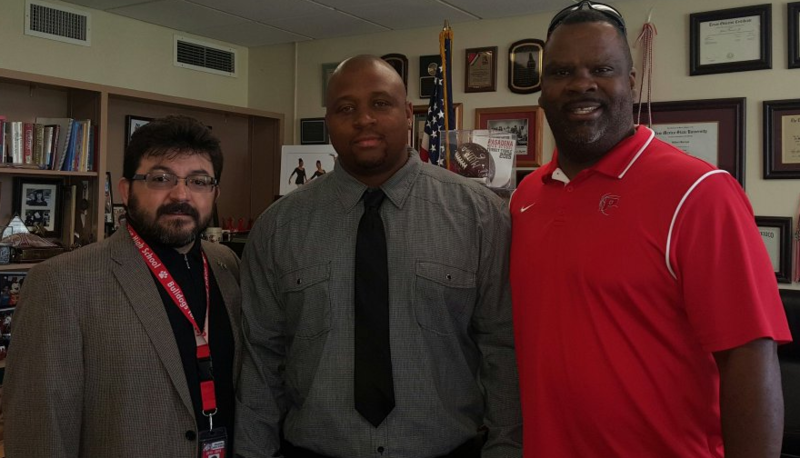 Pasadena High announced Thursday the hiring of Dejuan Shamburger as its new varsity football head coach. Shamburger was previously the junior varsity head coach and a varsity assistant at Pasadena. He replaces Doug Bledsoe, who resigned earlier this offseason.